It's not often David Beckham is spotted without his brood of children around him or his teammates on the football pitch. 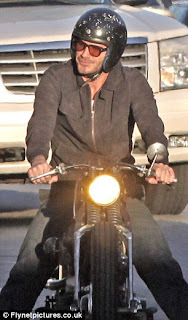 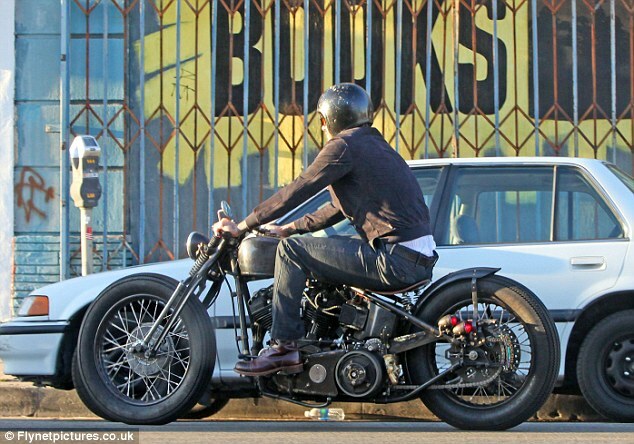 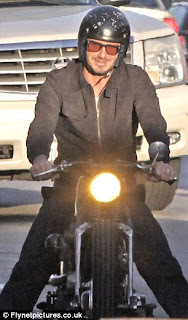 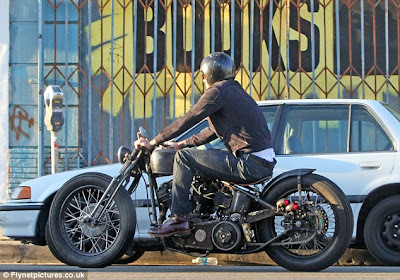 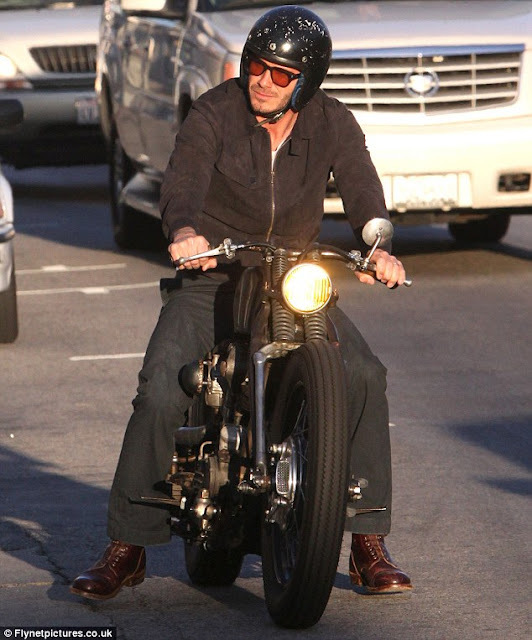 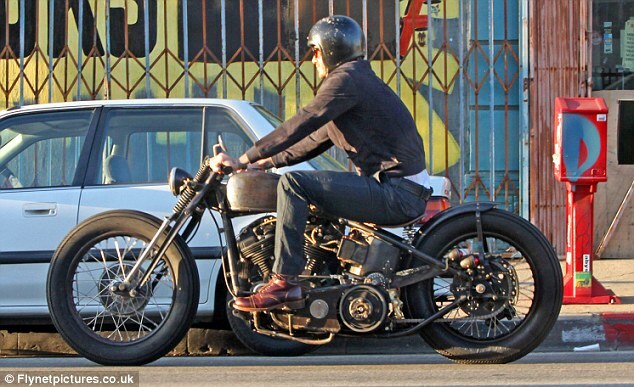 But he clearly wanted some time alone as he jumped aboard his motorbike and went for a cruise yesterday. 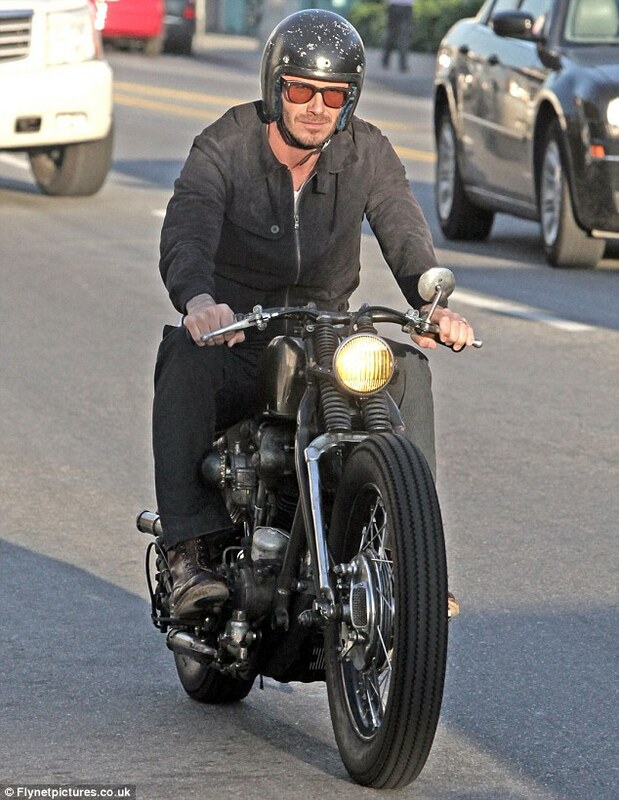 The football superstar was spotted taking in the Hollywood heat as he donned his helmet and shades. 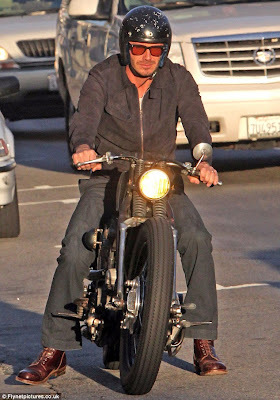 And even as he travelled around on wheels, David ensured he looked stylish and was dressed his best. 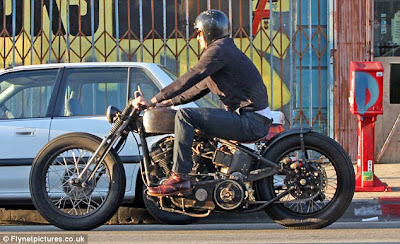 The 36-year-old snubbed leathers and boots to don dark coloured jeans with smart brown leather shoes for the journey, with a thin zip-up jacket. Looking tanned he put on his worn out black helmet and he was in a jovial mood as he smiled for passersby.